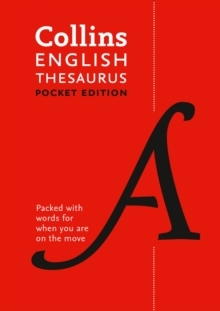 This Collins English Pocket Thesaurus is the perfect compact thesaurus for anyone stuck for words, writing essays, reports, marketing copy or work emails. 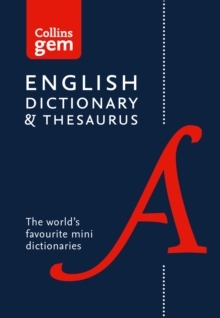 The ideal word finder, this Collins thesaurus has a wide range of 128,000 synonyms and antonyms to choose from, giving unrivalled everyday language coverage for a thesaurus of its size. This new edition provides up-to-date language coverage along with practical guidance on effective English for everyday use. 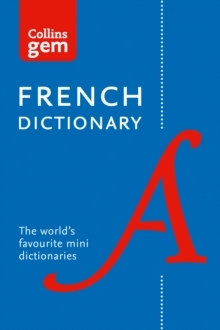 All main words are clearly distinguished, and the most helpful synonyms are highlighted and given first to ensure you find what you're looking for easily. With key antonyms included for many entries and supplement, plus the unique wear-resistant cover, this Collins English thesaurus is the ideal one-stop word reference for every home and office. 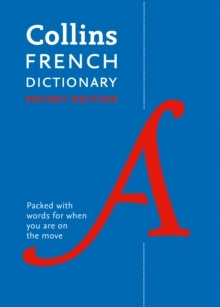 For more on English language usage, our Collins English Pocket Dictionary (9780008141806) is an excellent companion.